New from Hoggs of Fife, this versatile green winter-weight fleece jacket is practical and smart. 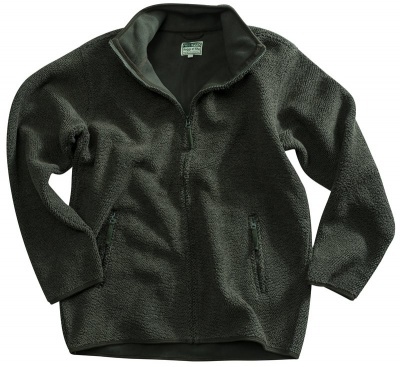 Made from special heavyweight 100% polyester tufted fleece. Features two zipped side pockets with a sturdy polycotton lining and a full length front zip closure and slight elastication at the hem and cuffs. Machine washable at 40C makes it ultra practical.